may be integrated into existing vending machines, it enhances a vending machine by providing NFC payment functionality. The NFC Payment Module communicates with vending machines over MDB bus, UART and other standard interfaces. Payment authorisations may be made either offline (NFC only) or online (NFC and GSM). 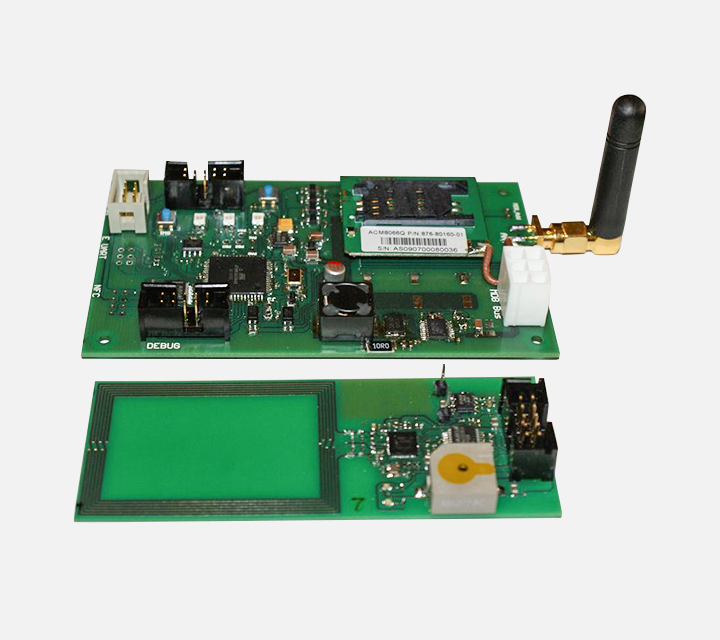 The NFC PM has an additional microcontroller which is used as master controlling NFC and GSM systems. Additional advanced features such as remote configuration changes or over the air application upgrades are also available.